Remote keyless systems typically come as standard or as an option on most cars today. In general, they consist of a key fob transmitter and receiver inside the vehicle. It’s estimated that 70% of cars today use keyless systems. The breakdown of how the process works is actually quite simple. When the vehicle owner presses the button on the key fob, the vehicle’s Central Processing Unit (CPU) immediately wakes up. The CPU then sends a data stream to the radio frequency transmitter. In this case, the keyless remote acts as a radio. The data stream contains commands and rolling codes, that provide safety. The remote keyless system’s receiver in the car captures the RF signal, extracts it and sends the data stream to the CPU. Finally, the CPU decodes it and sends commands to the command module. While designing the keyless systems, manufacturers have to consider all possibilities including function and range. Creating a reliable, low-current consumption device that can achieve a good range is the challenge. Battery life is key; one of the worst realities a car owner can face is their remote running out of juice at an inopportune time. Therefore, systems are created and designed to leave the receiver on for only a short amount of time, thus preventing battery failure. One of the great benefits of employing wireless remotes is the ability to lock, unlock and start your vehicle without actually having it in-hand. Instead, keyless systems allow drivers to operate their vehicle with the key on their person, in their pocket or in their handbag. When the driver approaches their car, they’re identified by a paired radio transponder chip inside the car. The doors will then unlock and the driver will be able to start the vehicle. The entire process provides convenience and comfort for the driver, as they avoid the headache of riffling through keys to start their car. The security aspect truly makes keyless systems a no-brainer when shopping for a new vehicle. The start and stop feature protects against vehicle theft. Without the key fob, which only recognizes the code from the driver’s specific fob, the car can not be stolen. Locking the vehicle is just as simple; the driver only must push the handle to lock the door. Some systems even automatically lock when the driver is out of range. 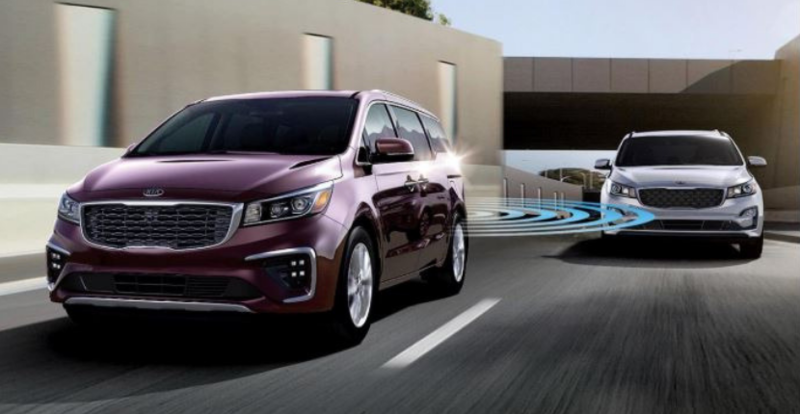 For more information regarding keyless systems in 2019 Kia models for sale, visit Raymond Kia your Antioch Kia dealer in-person or online today!